Ok, so the name of this post is slightly misleading. This won't be a post about all the stuff I actually carry during a race (food, gum, body glide, etc). 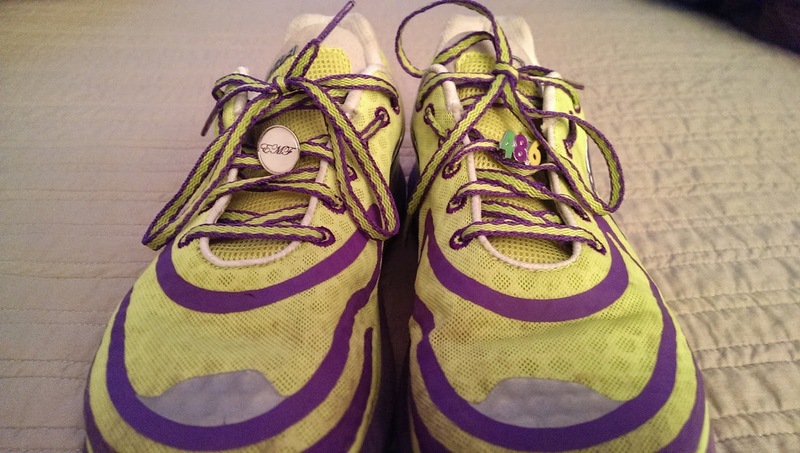 This post is more about what I carry emotionally when I run. 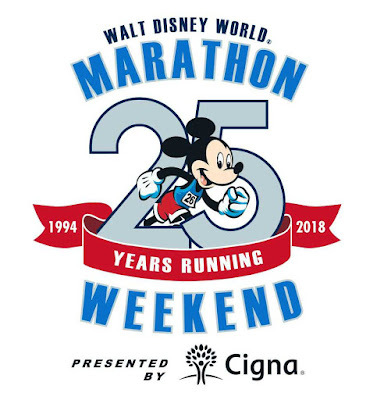 It's finally Pittsburgh Marathon Weekend. A weekend that we've been planning for what seems like forever. 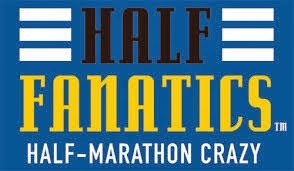 This is supposed to be my second marathon- my "comeback 26.2" from my stress fracture this fall. But life has thrown me a few other curve balls in the last few months. Arthritis in my big toe. Peroneal tendonitis in my ankle. Major stress at work. And one more unplanned change: I'll be traveling to Pittsburgh solo today. Without a doubt, Nana and Matthew will be on my mind this weekend when I run. I often think about the people in my life and our relationships when I'm out there slogging through the miles of a long run. I also think a lot about running- shocking, right? :-) I reflect on my training, previous races, PRs and everything in between And on Sunday, it won't be any different. 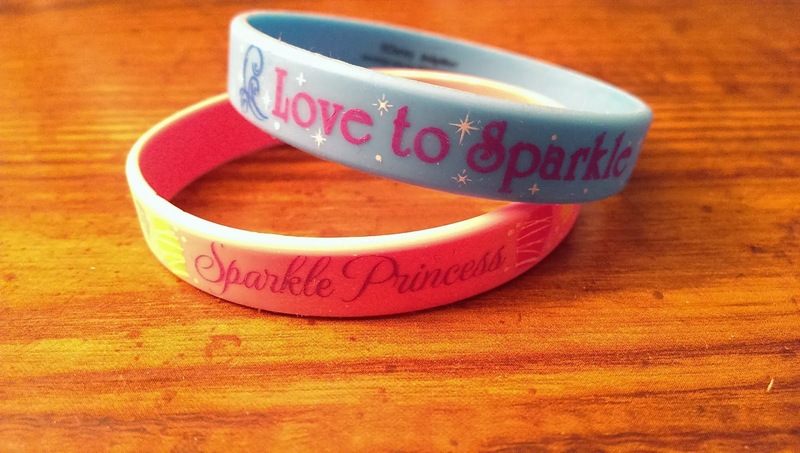 The first time I met Coach Jeff, he gave me the blue "Love to Sparkle" bracelet. It was during Dopey Challenge 2014 and I wore it for all the races. 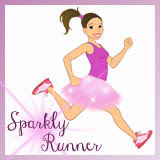 At this past year's WDW Marathon Weekend, he gave me the "Sparkle Princess" one. Every time I look at these, I think about Coach Jeff and all of my running Ohana. You'll find both of these on my wrist this weekend. My former roommate and best friend Kelly bought me this necklace before the Dopey Challenge. I gave it to Matthew for safe keeping until I'd officially completed the races. 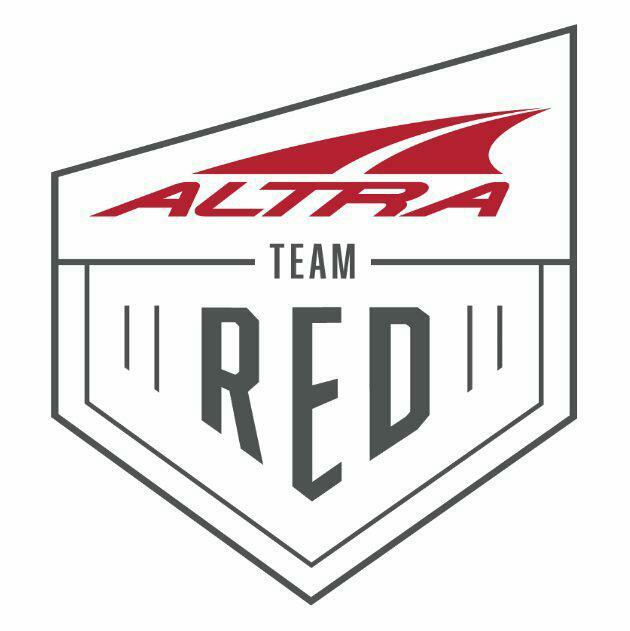 Now I wear it for almost every race. It reminds me of all the support of my friends and family while we were training for Dopey and it reminds me that I'm capable of doing hard things. 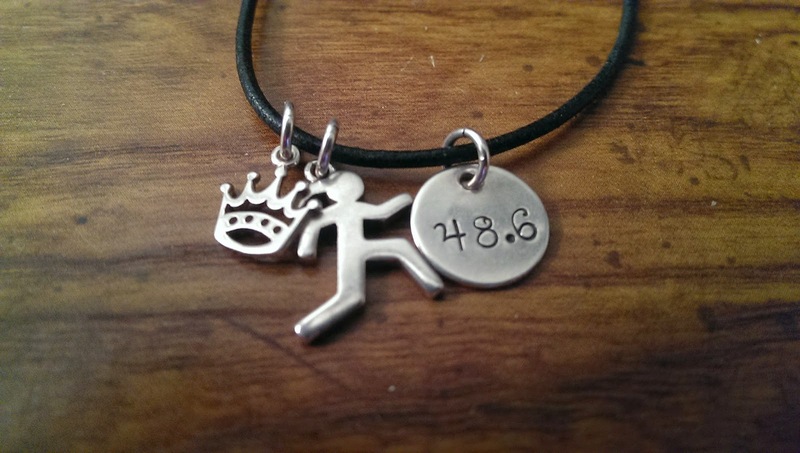 I have two BeeCause charms that I wear on my current pair of running shoes: a custom one with my Mom-mom's initials, and a 48.6 one to remember my Dopey accomplishment. I love knowing that my Mom-mom is with me every step of every race. And when I get tired, I look down and find encouragement to keep going. A very sweet friend gave me this Fellow Flowers a few weeks ago. It reminds me of the basic promise of sisterhood and friendship: to lift each other up and help each other get to the finish line. 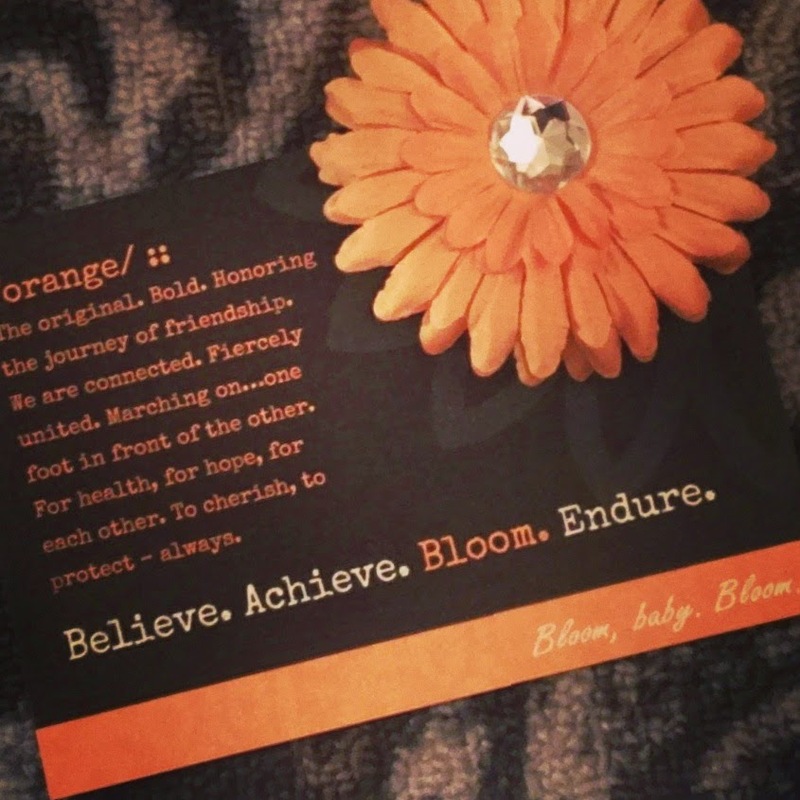 I am truly blessed to have many "sole sisters" in my life that I can count on for motivation and inspiration. You can bet I'll be thinking about them while running 26.2 miles this Sunday. 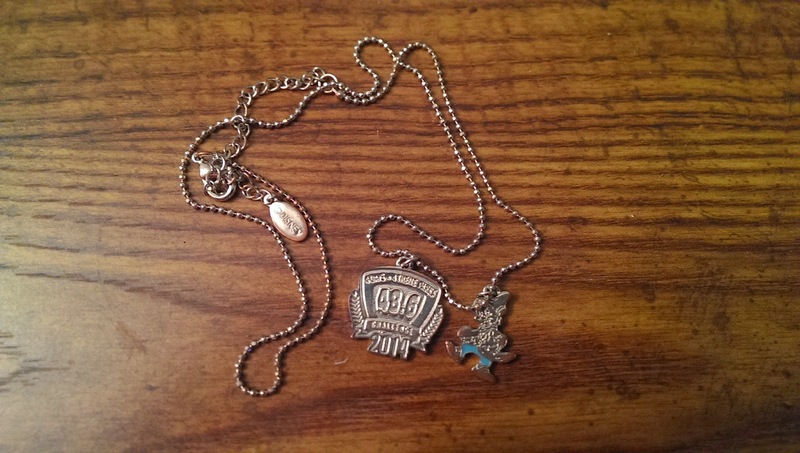 My amazing Matthew got me this commemorative Dopey Challenge necklace in 2014. It's special to me because Matthew bought this when he signed us up for the races- nine months before we would complete it. His belief in me has never wavered. Because he believes I can do something, I believe I can do it. He's my biggest cheerleader and I'm so grateful he's in my life. I'll be wearing this necklace close to my heart all weekend. With lots on my mind and lots on my heart this weekend, I'll run the Pittsburgh 5k and Pittsburgh Marathon. To be honest, I'm nervous. My training didn't go exactly as planned and I didn't get in all the long runs I wanted. My plan is to stick with the six hour pace group for as long as possible and then continue on to the finish. The things I carry will hopefully help carry me to the finish. Game on, Pittsburgh. Let's do this. I love this list of things that you bring with you. You have such a great attitude and congrats on your race weekend! You have improved so much Sarah!